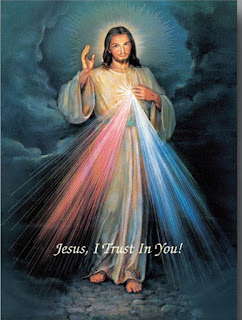 Divine Mercy: 1520 Today the Lord said to me, I have opened My Heart as a living fountain of mercy. Let all souls draw life from it. 1520 Today the Lord said to me, I have opened My Heart as a living fountain of mercy. Let all souls draw life from it. Let them approach this sea of mercy with great trust. Sinners will attain justification, and the just will be confirmed in good. Whoever places his trust (115) in My mercy will be filled with My divine peace at the hour of death.